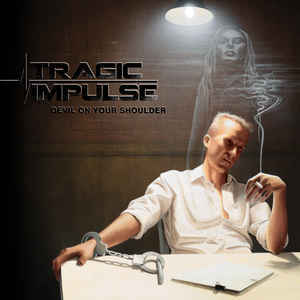 Background/Info: Tragic Impulse is an American solo-project set up and driven by Paul M. Graham. He started under the Eisengeist moniker and rapidly went on as Tragic Impulse, releasing a somewhat unknown album “Machine Parts” in 2014. Tragic Impulse now joined hands with Distortion Productions unleashing his newest work and probably reaching a wider audience. Content: From the very first sequences you can easily recognize the EBM influence supporting the work of Tragic Impulse. Mixing icy leads, heavy sound blasts, dark atmospheres and numerous sweeps, this album is quite elaborate resulting into a dark-body production. The songs are pretty powerful while there also is an interesting evolution in the tracklist reaching a few climaxes and a great, final song as a truly apotheosis. + + + : “Devil On Your Shoulder” is an interesting opus characterized by a sophisticated sound approach and made by cool sound treatments. It also is album with several noticeable cuts and even a few potential hits such as “The Fear” and “Chain Reaction”. I like the power emerging from the songs and dark ambience hanging over the work while I noticed some great leads. I now and then noticed a little touch of Leather Strip. The vocals are perfectly matching with the sound. – – – : This is an interesting work, but without any real surprise in the global writing and sound approach. Tragic Impulse composed a well-crafted, but somewhat predictable album. Conclusion: Even if Tragic Impulse is not reinventing EBM you clearly can hear that the artist doesn’t spare any effort to achieve a refined- and passionate work. 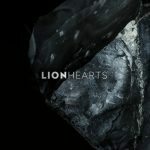 This album will please all demanding EBM fans, but will not take them by surprise. 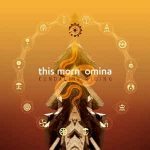 Best songs: “The Fear”, “Chain Reaction”, “Expectations”, “Hindsight”.